← What Do You Want the First Line of Your Obituary to Be? Well the Missus and I trundled down to Providence yesterday to catch Circus at the Rhode Island School of Design Museum and, say, it was swell. For starters, there was the exhibit itself. The spectacle of the American and European circus takes center stage this summer in Circus—a glimpse into the visual world of this phenomenon during the height of its popularity, 1850 to 1960. 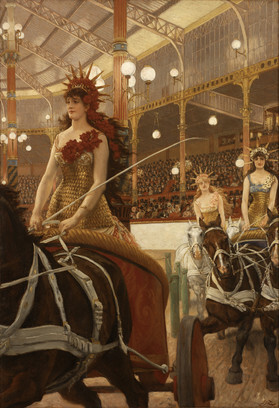 Approximately 40 circus-themed paintings, drawings, prints, photographs, and posters by artists such as Alexander Calder, Marc Chagall, Henri Matisse, James-Jacques-Joseph Tissot, and Henri de Toulouse-Lautrec delve into life under the big top and its wider connections to culture and society. During its heyday, the circus was a site of extreme feats of human physicality and wondrous phenomena. The daring athleticism and grace of acrobats, trick riders, and trapeze artists were featured alongside the often strange and grotesque humor and antics of the clown troupe. Also on display were “human curiosities”—bearded ladies, conjoined twins, sword swallowers, and others—who found a kind of fame in sensationalized sideshows. The Tissot painting alone was worth the price of admission (which, admittedly, was free for us thanks to some superpass the Missus possesses). But beyond the exhibit, it was also Design the Night night at RISD, which featured all kinds of circus-related fun, from a “custom circus tent, created by pneumatic art and design studio Pneuhaus (RISD alums Matthew Muller and August Lehrecke),” which, truth be told, was a bit underinflated, to an artist tour with “glamorous guest gallery guide Kristen Minsky—RISD alumna and director of Chifferobe Events and vintage dance company The TropiGals,” who, truth be told, was cute as a button. Challenging seriousness with silliness, Dizzy the Clown offers tokens of gratification in exchange for conversations about passions and purpose prompted by specific questions. Performed by artist Kylie Why. Alison Chang, Andrew W. Mellon Curatorial Fellow in the RISD Museum’s Department of Prints, Drawings, and Photographs—and the curator of the new exhibition Circus—leads visitors on a tour of the show. In other words, a splendid time was guaranteed for all. 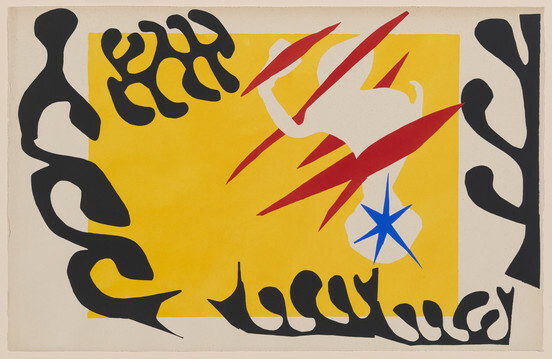 This entry was posted in Uncategorized and tagged Alexander Calder, Alison Chang, August Lehrecke, Chifferobe Events, Circus, Design the Night, Dizzy the Clown, Henri de Toulouse-Lautrec, Henri Matisse, James-Jacques-Joseph Tissot, Kristen Minsky, Kylie Why, Marc Chagall, Matthew Muller, Max Beckmann, Paul Carpentier, Pneuhaus, Rhode Island School of Design, RISD, The TropiGals. Bookmark the permalink. On another note: no heart-warming Norman Rockwell’s of a blond, blue-eyed, mid-western boy running away to join the circus? Not a Rockwell in sight for once. And where did you go for lunch or dinner? We had lunch at Cafe Choklad (http://goo.gl/Ls2QRR) and dinner at Geoff’s (http://goo.gl/6IHxgW). Disappointing, eh? But fine by us. Easy way out . . .